Tin toys used to be very popular in Japan in the mid-19th century. These are mechanical toys made of tin plate and beautifully painted with the art of chromolithography, a method for making multi-color paint. 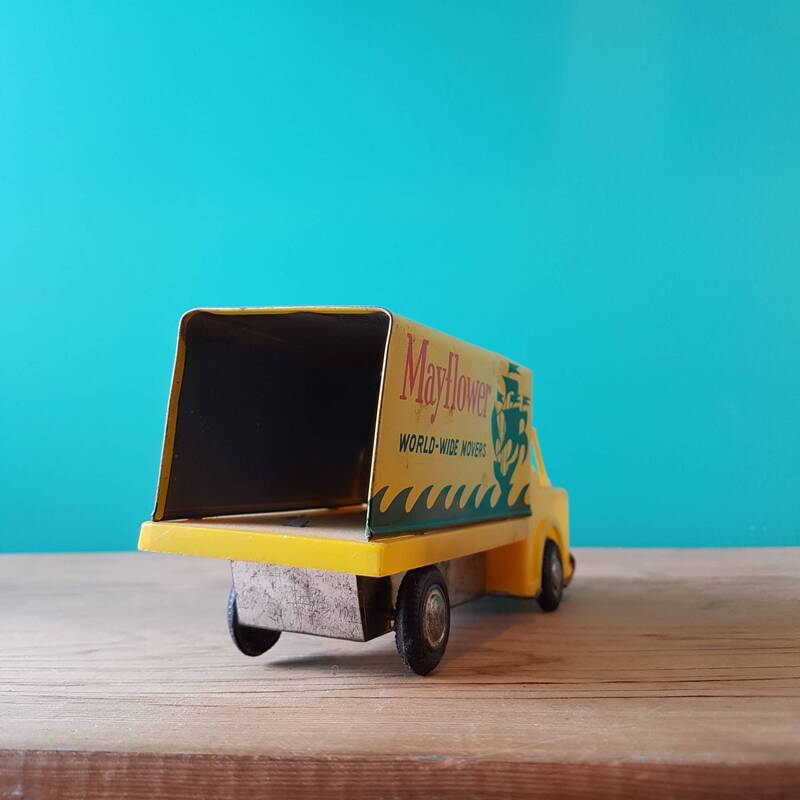 It first started in Germany but spread so widely in Japan after World War II that the country has even produced an extensive list of tin toy companies throughout the world. During the American occupation, the boom in Japanese tin toy production was massive. 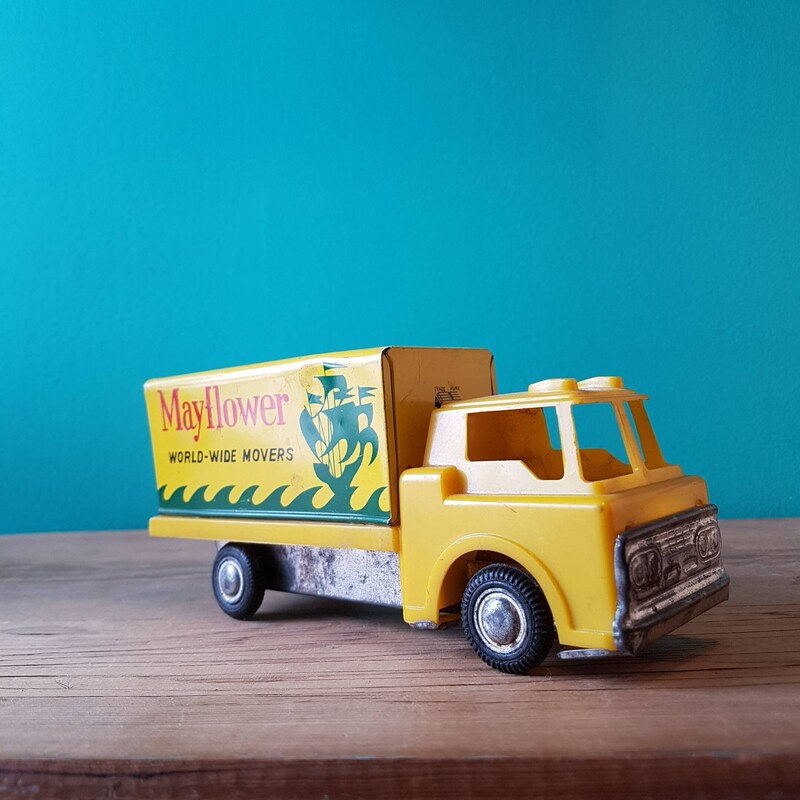 The tin plate toy industry was permitted to resume operation after WWII, including the right to export the toys. 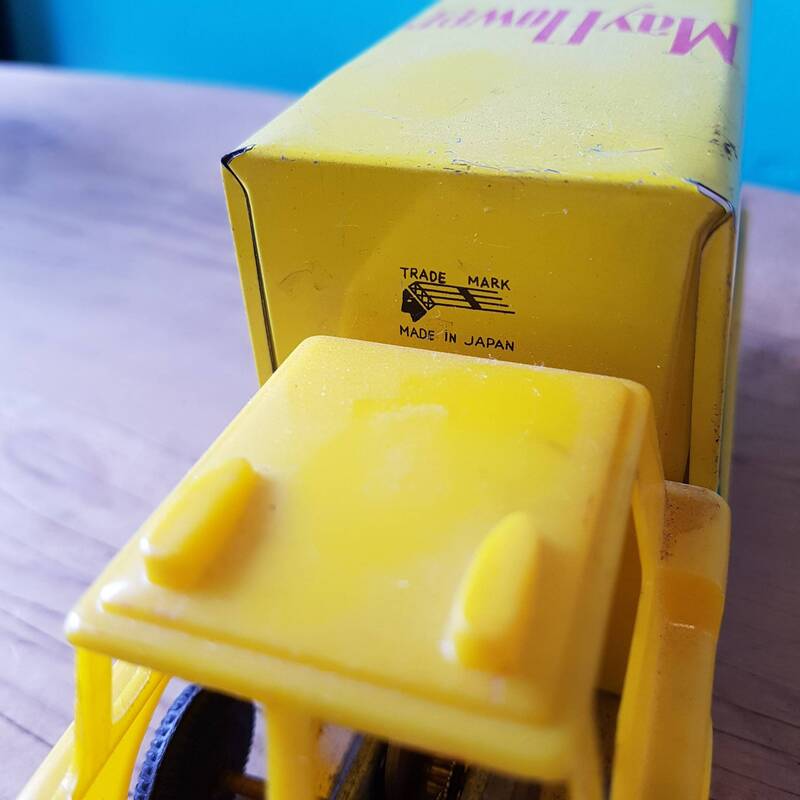 However, in 1948, friction toys emerged which was followed by electronics toys. With newer safety regulations set by the government, cheaper plastic took over in the 1960s. 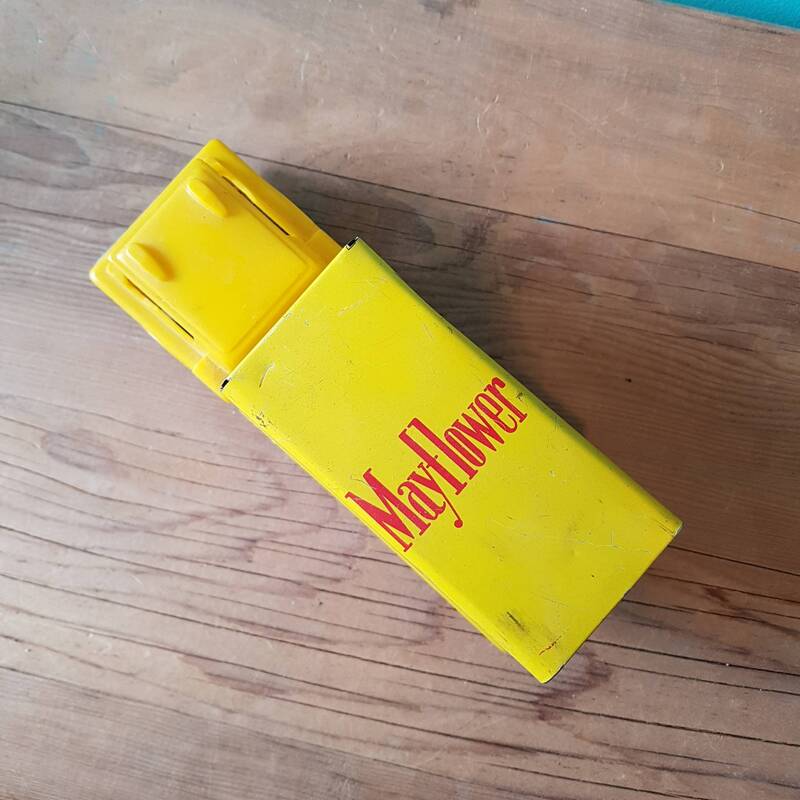 These brought about the gradual decline of tin plate toys and ended their reign. 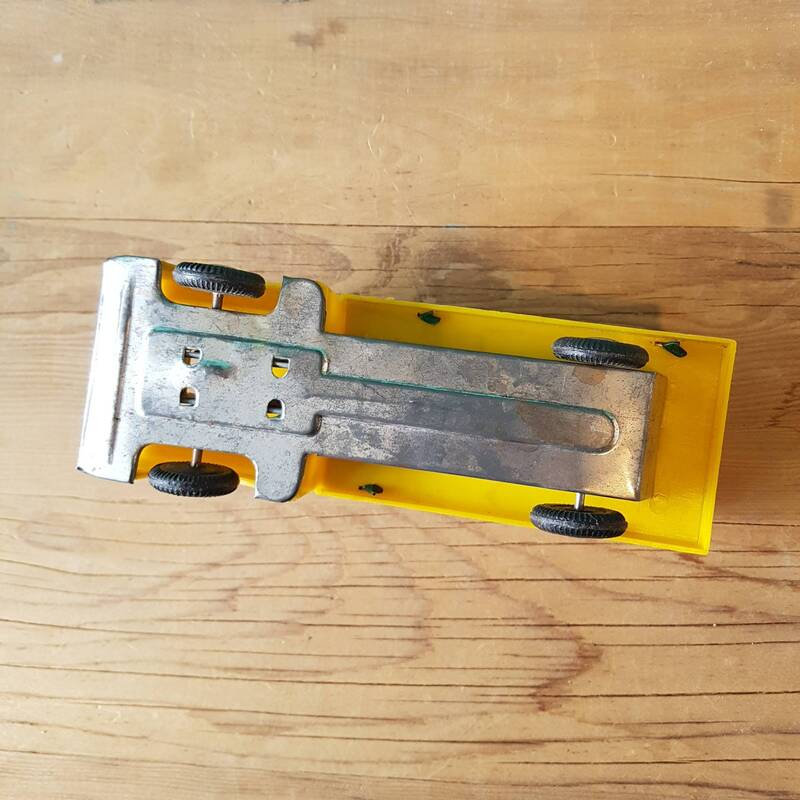 Nowadays, China has taken over the role as the lead manufacturer of tin toys. 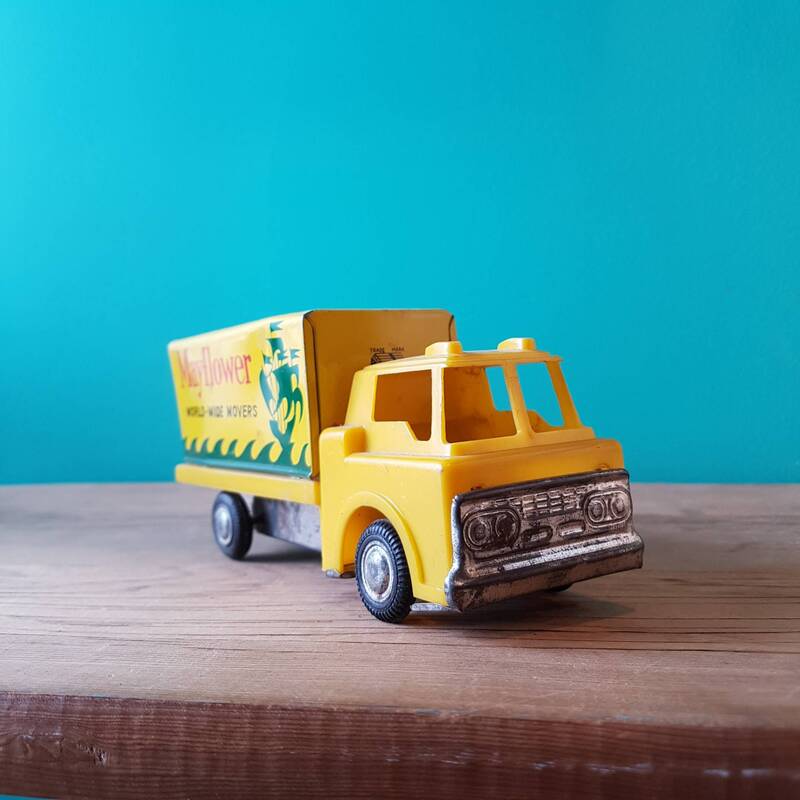 This toy truck was made by Ichimura in the 1960's. 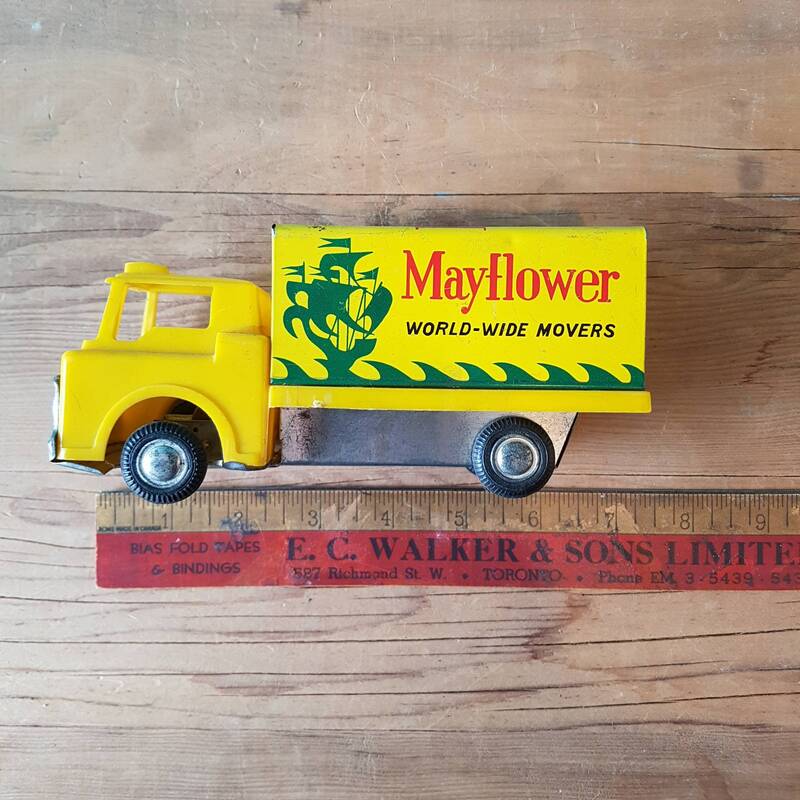 Very similar to an earlier toy truck made by Marx.